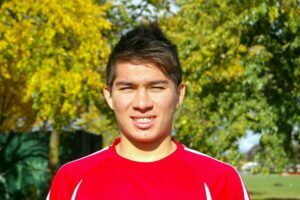 A while ago, Johnny, one of our Train Effective players, made it into a semi-professional club here in England. While this was already a great achievement, he wanted to know how he could now bridge the gap from still playing at an amateur level to playing professionally. Johnny is a 23-year old American player whose dream has always been to become a professional soccer player. Here at our Train Effective headquarters in London, we’re constantly dealing with every imaginable type of person, whether it’s through our private training camps or our online soccer academy, we’ve answered the same questions over and over again. So no matter if you’re a younger player dreaming of playing professionally one day, an older player fighting his/her way to the top against all odds or a supportive parent who wants to help their son/daughter achieve their life-goals, the following will help you no matter which category you fall in. 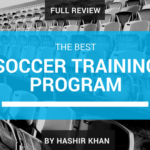 The number one path that players take to become professional soccer players is going through a professional youth academy. They either go all the way into the first team of the same club or move to another one in the process. This is by far the most common way that professional players have gotten to where they are now. And if you can get into an academy, I highly suggest you do it. The best example of this working is Lionel Messi, who signed for FC Barcelona at 13 and then quickly progressed through the youth ranks and the reserve team until he made his debut for the professional squad at just 17 years of age. Becoming, possibly the best player in history. More and more players are using agents nowadays that help them find opportunities (trials etc.) through their professional network of clubs and coaches. While this can work and is working for a lot of players (see Cohen Bramall; going from non-league to training with Arsenal’s 1st team) it can also backfire, if you choose the wrong one. I personally had an agent when I was 17/18 and my experience was horrible, would not do it again. This is a bit more difficult. In general, it rarely happens that a scout just turns up to one of your matches (unless you play at a high level already) and invites you for a trial. But, nowadays with the internet, you have the possibility to take matters into your own hands. For example, I have successfully used online platforms like LinkedIn to contact scouts and was able to secure a tryout with a professional team in Holland’s second division. 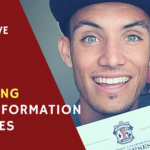 If you want to learn how to contact scouts using a 3-step process on LinkedIn, check out this video that I recorded during my 100-day challenge to a professional contract. This one usually goes hand in hand with the other three paths but can also be organised independently from scouts or agents. 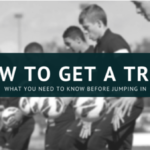 While it is the most difficult path for most players out there, if you (or your parents) have connections to the right people at professional clubs, this will be the easiest way to become a pro for you. Make sure you use the massive advantage that you have over most players your age. There are also a number of open trials around the world. But be careful… Only a handful of them are actually legitimate and serious in trying to help you find a club. But what if you’re an older player, like Johnny? What if you don’t have any connections and most people tell you-you’re too old to make it? You have to understand that when you’re under the age 18, you are still being looked at to play for the youth teams. You will compete with players your age for a spot in the starting eleven. Clubs are still willing to overlook small imperfections as you haven’t reached your full potential yet and there is still time to improve. 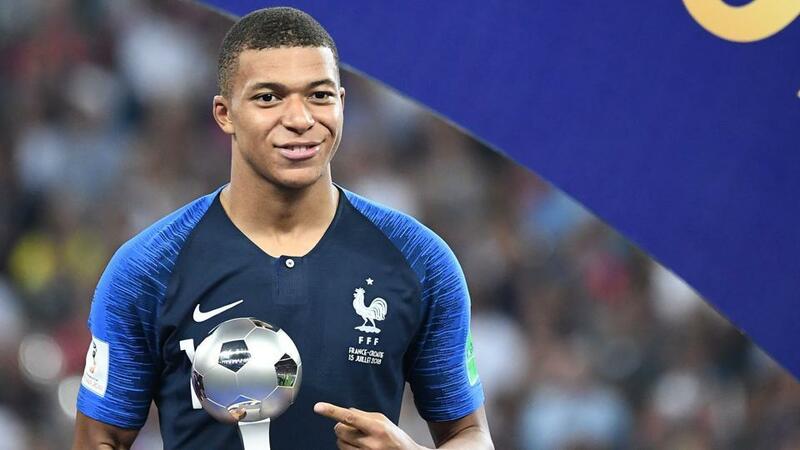 Players between 18 and 22 are already expected to be almost fully developed (just look at 19-year old Kylian Mbappe). So if you aren’t at (least close to) a professional level yet, your chances of getting scouted are getting slimmer. But luckily, at that age, there are still some more options, like U-23 teams etc., that will allow you to get to a professional club without being a complete player yet. It becomes more difficult once you’re 23 and older. You are now too old to play either in a youth team or a reserve team. That means you have to compete with grown, experienced players, who are sometimes 5-10 years older than you. To even get a trial with the first team of a professional club is almost impossible and to actually make it into the team is even harder. Should You Just Give up? So if you can’t do all of those things, what do you do? Do you just give up and settle for playing at a low level? Maybe focusing more on a “realistic” corporate career? Almost two years ago, I asked myself the same questions. I was already on the best path to become a well-paid banker in Switzerland, making over 100.000$ per year. But something in me wasn’t ready to give up my long-held dream of playing in front of tens of thousands of fans in the famous European stadiums. I did not want to wake up one day and feel regret for not at least trying as hard as I can. Long story short, I decided to start a 100-day challenge where I would try to sign a professional contract within 100 days. I was 23 at the time and experienced myself how difficult it is to even get a trial at that age (let alone “making it”). But I kept trying and through a lot of networking, I was able to secure tryouts in England and Germany. Around that time, Matt Piper, an ex-Premier League player (Leicester City, Sunderland AFC) came across my story. He sent me a personal video, giving me advice on how to become a professional soccer player (check it out here). What he told me was essentially to take the same route that Leicester City and England star Jamie Vardy had taken, when he went from playing in England’s 8th division at 23 to winning the Premier League, becoming the second highest goal scorer and being called up to the national team, five years later, at 27. Vardy had done what I eluded to earlier. He followed the exact same strategy that is usually used by motivated corporate employees. He progressed to a higher division every single year until he inevitably landed at the top. While Vardy’s story is very special, he is certainly not the only one who was able to beat the odds of being “too old to make it”. Other famous examples include Chris Smalling (Manchester United), Jay Demerit (Watford and US national team player), Ian Wright (Arsenal London), Luca Toni (Bayern Munich and world cup winner with Italy) and Didier Drogba (FC Chelsea). What if I told you, that talent might not be that important? What if I told you, that there’s another scientifically proven method to become world-class at almost anything you like, and that athletes from Cristiano Ronaldo to Conor McGregor to Lebron James have used to reach the top of their sports without necessarily having the most talent to start with. Would you believe me? Well, believe it or not, there actually exists such a method, called the 10.000-hour rule. It was discovered by a man called Malcolm Gladwell, who after studying hundreds of world-class performers in various fields was able to detect a similar pattern with almost all of them. As it turns out, it usually took 10.000 hours of deliberate practice for any individual to become world-class at their specific craft, no matter how much talent they were born with. Just to put it in perspective, 10.000 hours are 20 hours of practice per week for 10 years. How many hours have put in? But wait! Before you go to the pitch now and kick the ball around for a few hours just to say that you’re 3 hours closer to becoming the next Ronaldo, make sure you re-read the last paragraph and see if you can spot an extremely important word. DELIBERATE. See, if you think that time alone is going to allow you to become a professional soccer player, you’ll have to live with the consequences one day. Players who only train a few hours a week will make faster improvements than you, even though you “train” 20 hours a week. And the reason for that is that the other players are training “deliberately”. Did you know that you could achieve in 45 minutes what takes other players a month of practice? You can, but to do that, you can’t just go through the motions. Even when you go train with a team, it can be highly inefficient at times. You wait around, take a few touches and you might not be working on the things you really need to. But, if you want to really build skills and build them fast, then you gotta practice in a structured way where you deliberately work on the things that challenge you the most. This is called the deliberate practice cycle. When you follow this cycle – you build up what scientists have called myelin, also known as the deep practice cell. 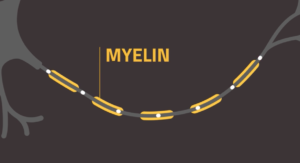 Myelin is a protective layer that insulates nerve fibres in your body and determines how fast and accurately electrons can go from one neuron to the next and therefore how good you are at performing the corresponding skill. Put simply, the more layers of myelin you acquire, the better you get. BUT, keep in mind this is only the case when you follow “the deliberate practice cycle”. Some people work hard, others choose to work smart. But when you work hard and smart – this is where YOU can achieve amazing results. And that’s what the deliberate practice cycle allowed me to do, and can do for you as well. But how does it work? Continuously asking yourself these questions to make sure you’re working on the things that create more “myelin”, will allow you to see immediate improvements, in many cases overnight. When I was 16, I thought there was no way I would ever have a chance to become a professional soccer player. I had never played in a professional youth academy, I was average at best and for a long time, I didn’t even make it into the first team of my local amateur club. But when I came across the 10.000 Hour Rule, everything changed overnight. Suddenly, it all seemed possible again. I could visualize myself playing in the Premier League, scoring goals and playing in front of more than 50.000 fans! I used the exact same principles that I outlined above, setting short-, mid- and long-term goals, researching to find the best tips and exercises to achieve them and then reflecting constantly to see what’s working and what isn’t. I trained 20 hours per week, punishing myself with even more training if I didn’t reach 20 and did that while going to high-school like a normal kid my age. Almost immediately I was able to see massive improvements in my game. I quickly became the best player on my team and one of the best players in my city. Within a few months, I moved to a semi-professional team working up the ranks. Continuing to follow the deliberate practice cycle, I soon started getting full-ride scholarship offers from American Universities, worth more than $ 100.000! And what happened next was almost surreal. First I was invited to train with the Australian U-17 national team, where the coaches told me that I should go play for an A-League (Australia’s 1st division) team! And soon after, I received my first official offer to play professionally in Hungary! There are lots of different paths to becoming a professional footballer, depending on your personal situation. If you’re still a younger player (22 and below), focus on getting into a professional youth academy or a reserve team, using the strategies that we talked about (agents, scouts and trials). If you’re older than 20, it’s still possible to get into a professional club using those strategies but it’s going to take a lot more effort to find someone who will give you a shot. Should you not manage to find that person, focus on emulating Jamie Vardy and try to work your way up, even if that means starting at the bottom. If you keep climbing up the ladder, moving to a higher division every 1-2 years, you will inevitably become a professional soccer player. Now, no matter how old you are, you will have to deal with a ton of things that are outside of your control, whether that’s a coach’s opinion, an injury or your personal level of talent. The only two things that you can control are your mindset and how much effort you put in to reach your dream. If you don’t believe in yourself and that you can make it, you automatically won’t have the energy to take the necessary steps to get there. But if you’re so “delusional” that you think you can be better than 99% of players, you might actually trick yourself into doing the work. 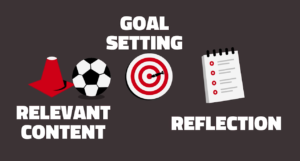 “The work” mainly consists of applying the deliberate practice cycle (goal-setting, relevant content and reflection) in combination with the 10.000-hour rule (the amount of deliberate practice it takes to become world-class) and then doing everything in your power to find/create opportunities to move up the ladder of success in soccer. If you do all of those things, you will be well on your path to become a professional soccer player. From me and the Train Effective Team, good luck! Nick Humphries, 25, is a footballer who played in England (Wimbledon), Scotland (Montrose), Holland (Volendam), Hungary (Vasas) as well as with the Australian U20 national team. At 16 years of age, he was just an average amateur player with limited skills. Only one year later he was offered $120k+ in scholarships. Two years later he received a contract to play professionally in Europe. How did he get better? He trained in his own way! Learn more about the training program he’s creating to help players improve on their own terms.